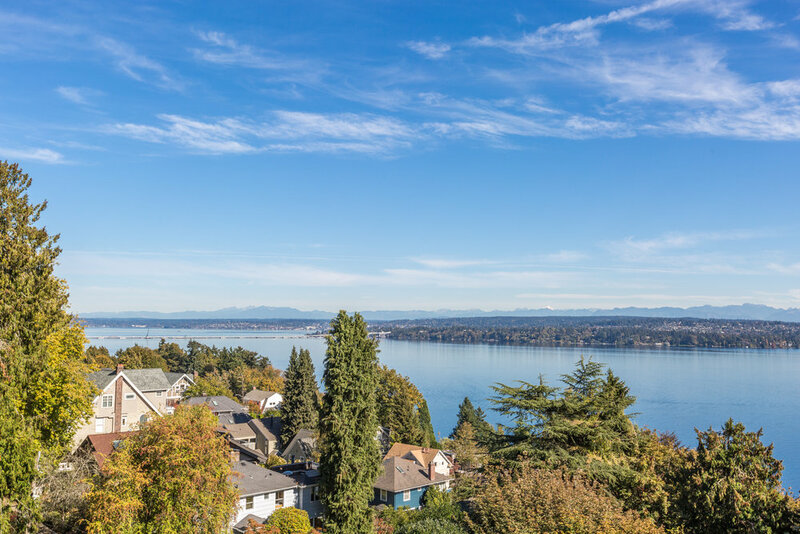 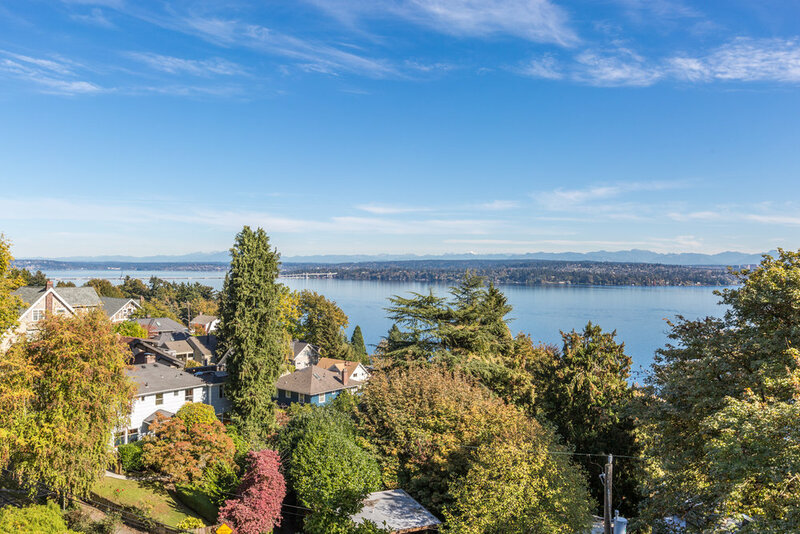 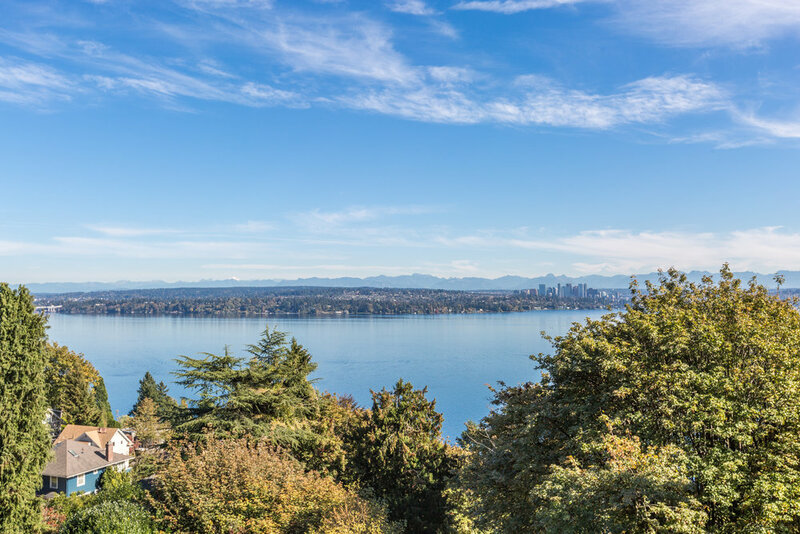 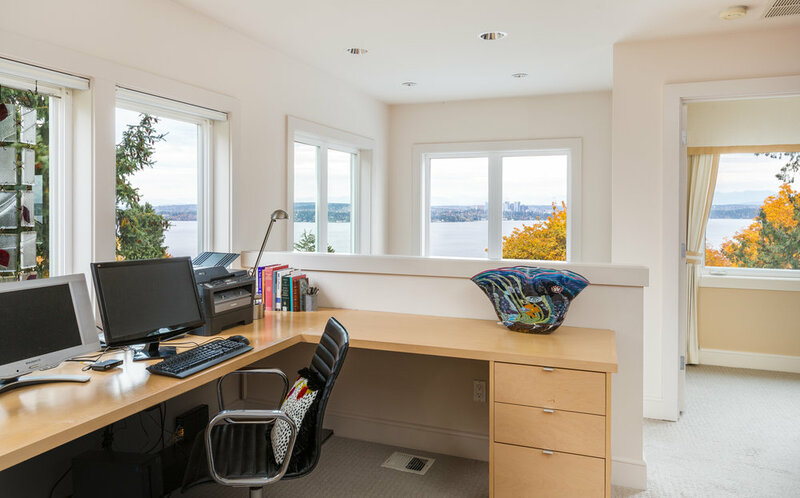 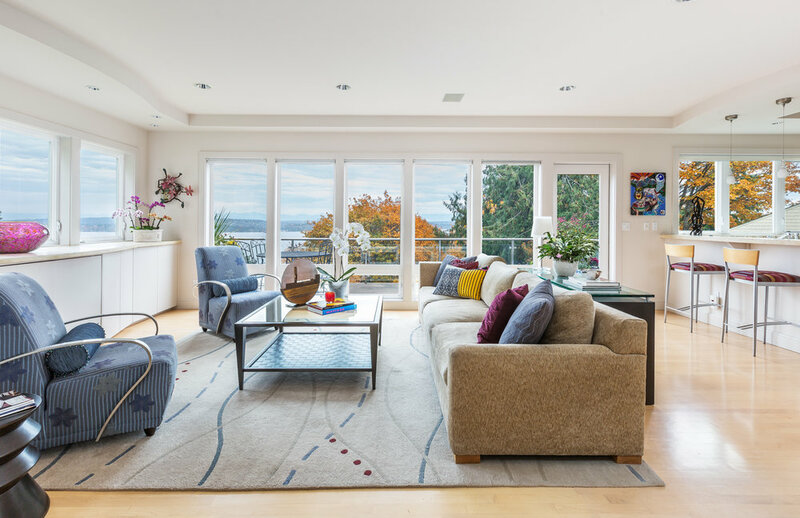 Expansive views of Lake Washington, the Bellevue skyline, and the Cascade Mountains from this light-filled and sophisticated modern home. 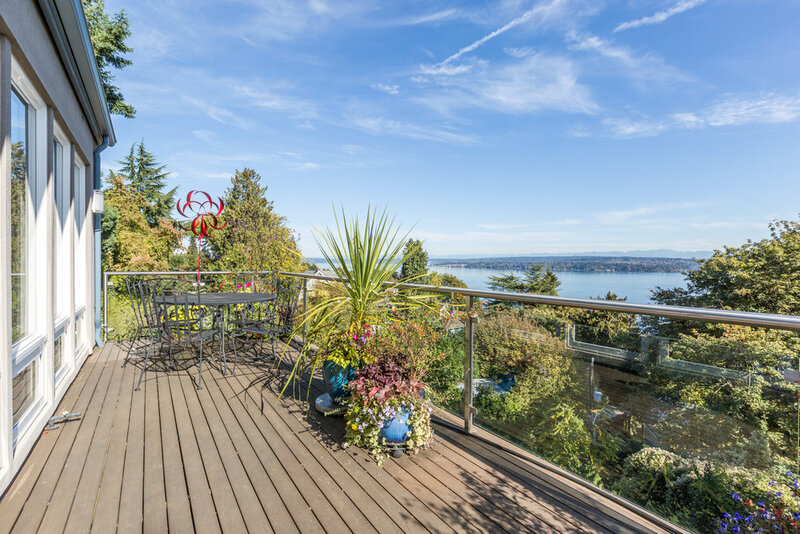 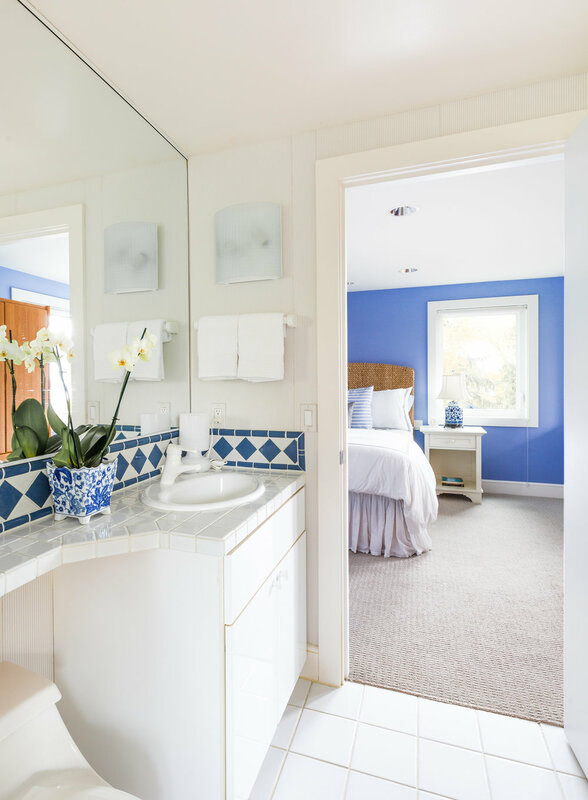 Ideally located a short walk from the vibrant shops & cafes of Madrona, yet peaceful & private on the quiet lane of East Conover Court. 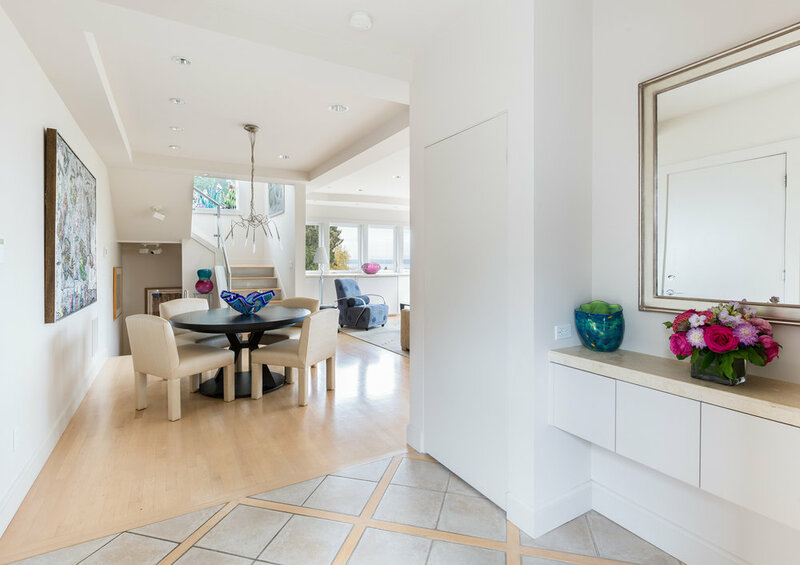 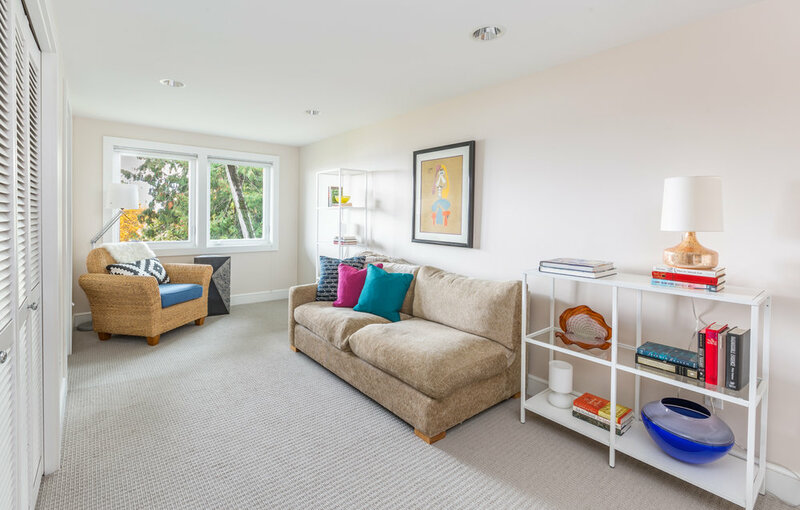 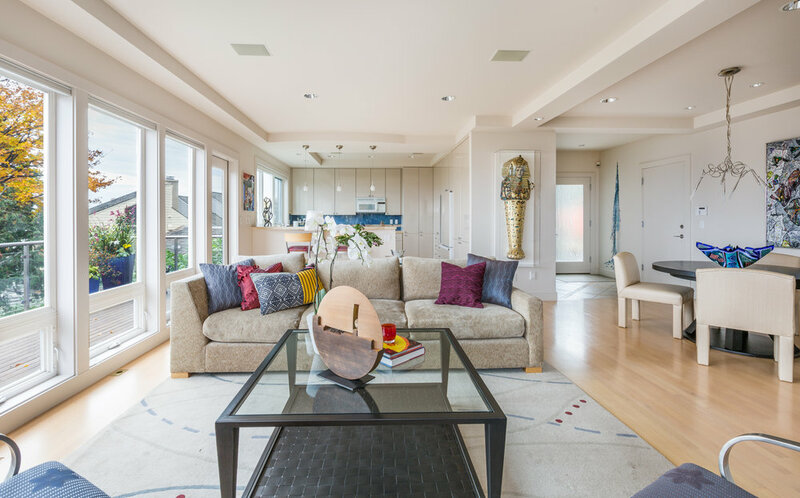 This home features an open and airy floorplan highlighted with maple hardwoods, an abundance of windows and a wonderful deck off the living room to enjoy the park-like setting and spectacular views. 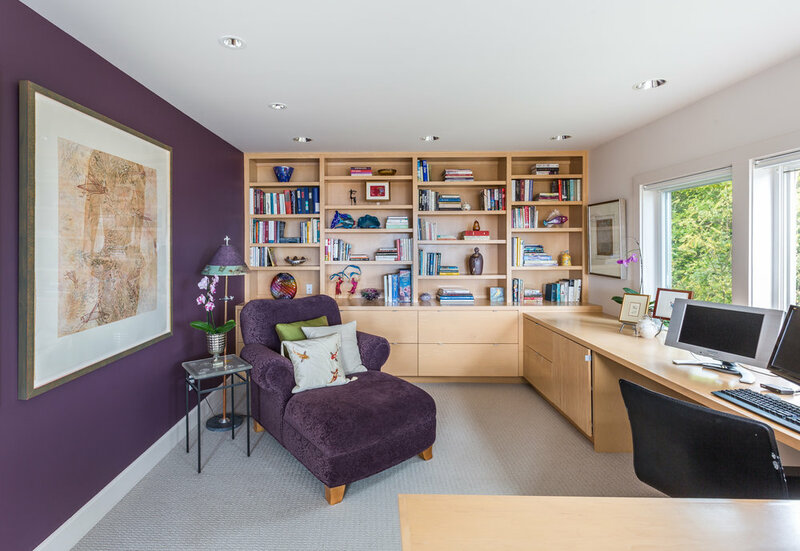 The upper level offers a spacious master suite with adjoining home office with built-in desk, bookshelves and sitting area – all sited towards the view. 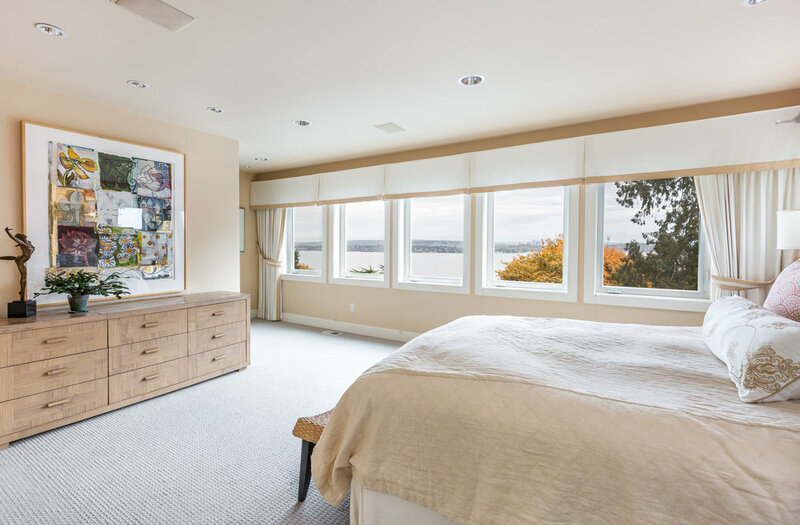 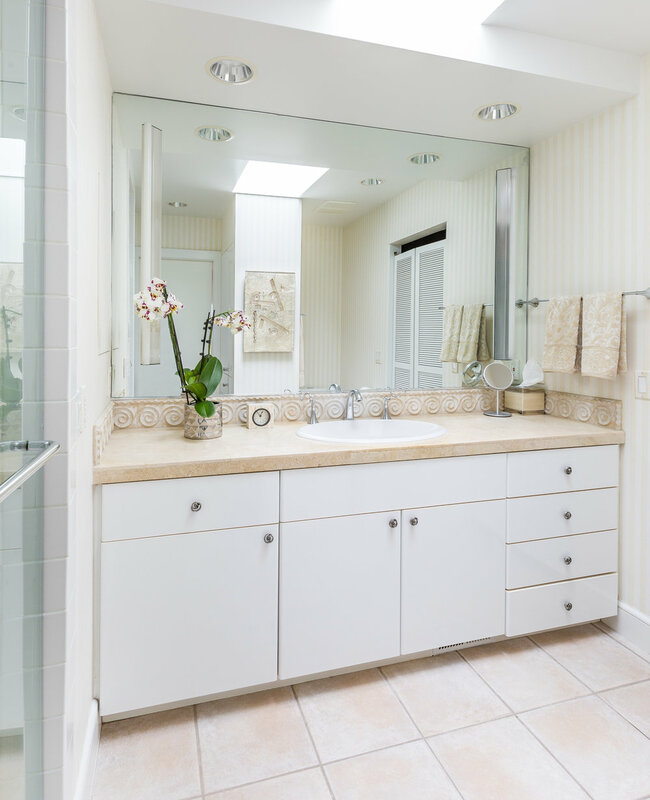 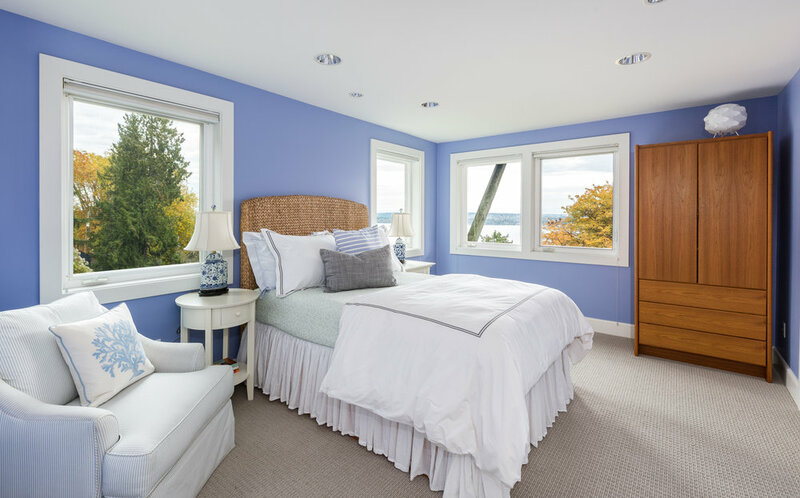 The lower level provides another bedroom, a third bedroom/media room and a full bath. 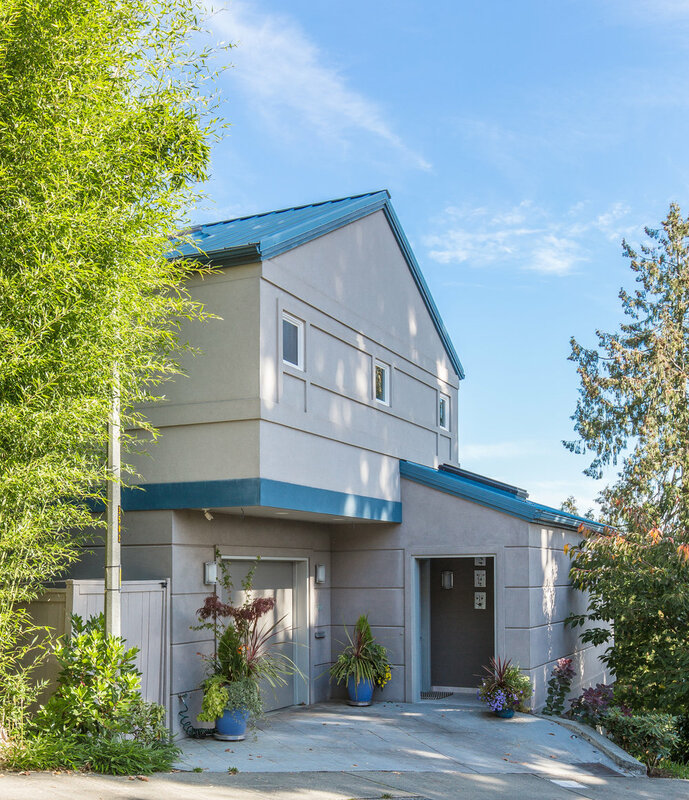 Desirable level entry and an attached garage complete this warm and inviting residence.